Kia keeps on improving its line-up. The 2019 Sorento is a prime example of what good taste and usefulness look like as in its refreshed seven-passenger SUV. Pricing starts in the low $30.000 to over $47,000 for the SXL all-wheel-drive model. With such a range of pricing, we recommend a test drive in each of the five derivatives of this handy-sized people hauler to help you focus on your needs. For example, is all-wheel drive needed? Secondly, does the base four-cylinder engine have enough power for you or is the stout six-cylinder powerplant more realistic? Once those decisions have been established Kia offers some tempting choices starting with the price leader, the L model. This Kia features a 7.0-inch touchscreen, Apple CarPlay, Android Auto integration, cloth upholstery, a rearview camera, Bluetooth, a six-speaker audio arrangement, a USB port, and keyless entry. Hardly a base model, but typically Kia provides a lot of standard features that other manufacturers list as options. A bit more expensive, the LX adds blind-spot monitoring for a rear cross-traffic alert and a power driver’s seat among other niceties whereas the upscale Sorento EX has larger rims, a bigger multi-information display, an auto-dimming rearview mirror, leather upholstery, an eight-way power adjustable front passenger seat, heated front seats, keyless start, a power liftgate, and rear parking sensors. If you spend a little more the Sorento SX with 19-inch alloy wheels, an 8.0-inch touchscreen, navigation, a 10-speaker Harman Kardon audio set-up, a panoramic sunroof, and front object sensors. The big dog is the loaded Sorento SXL with LED headlights, a terrific 360-degree view camera system, heated outboard second-row seats, a heated steering wheel, ventilated front seats, upgraded leather upholstery with optional all-wheel drive could be in your driveway. The one area that could be improved was the reddish gauges in the instrument panel that made it difficult to quickly discern your speed. Otherwise, the Sorento was comfortable, but the third-row seating was tight. It was the right size for most families. The Sorento has exceptional crash test ratings with the terrific cross-traffic alerts that were, well, terrific. When backing out of a mall parking spot the Kia notified me of oncoming cars and pedestrians even those over 20 feet away. My recommendation is to get as many safety attributes as you can afford. One minor accident will cost far more. In terms of space, there is 11 to 73 cubic of cargo space depending on whether the rear seats are folded flat. The second row has a useful 40/20/40 split-folding seats making this Kia handy for longer items. Driving the Sorento is a pleasure. A tight turning radius makes parking easy with the perky engine providing plenty of power. The side window shades provide privacy and protection from the sun. The automatic tailgate operation works fast. Handiness is the word I would use to describe the Sorento. Right look, size, seating and always providing a secure feeling made it very comforting to drive. I wasn’t expecting the Sorento to have such a pleasant ride, even over some roughed-up roads, but the suspension works favorably and the 3.3 DOHC 24-valve V-6 yields 290 horsepower. However, the eight-speed transmission hunts a bit for the right gear when driving in the mountains. The optional all-wheel drive has a locking center differential. Tire monitoring, hill assist, stability and traction control are also all part of Kia’s offerings. Overall, a complete package that can tow 5000 pounds. Kia’s multimedia display is user-friendly and not difficult to master. The nicely sized eight-inch touch screen took has Apple CarPlay and Android Auto integration. Another welcome touch was the wireless charging as my Waze app eats up battery life. An available Harmon-Kardon premium audio system and the QuantumLogic Surround Sound made compressed music files more precise with the Clari-Fi and SIRIUS capabilities noteworthy. At just under $48,000 Kia’s Sorento may not seem like a bargain despite Nappa leather hides, dual-zone climate control, eye-popping exterior camera views, but it is less expensive than similarly equipped competition, especially with its warranty and newfound reputation for quality. I felt compelled to remind myself several times that I was driving a Kia as the materials bordered on Audi-like. Real buttons are mounted below the touchscreen, thankfully, so I didn’t have to take my eyes off the road to change basic functions. Auxiliary controls on the steering wheel helped in mastering a car filled with current technology. Kia’s trim exterior dimensions will likely prove a plus for many buyers who don’t want to deal with a bigger machine but do need seven seats at times. The Sorento is a genteel vehicle with a brawny engine. This is a right-size for most SUV seekers. It drives big but is easy to maneuver with acceptable gas mileage. The 5-year 60,000 limited warranty plus roadside assistance are Kia advantages as is top quality ratings topping even such manufacturers as Lexus. Add to that, a plethora of standard equipment and you have an ideal household hauler with room for a dog or two. 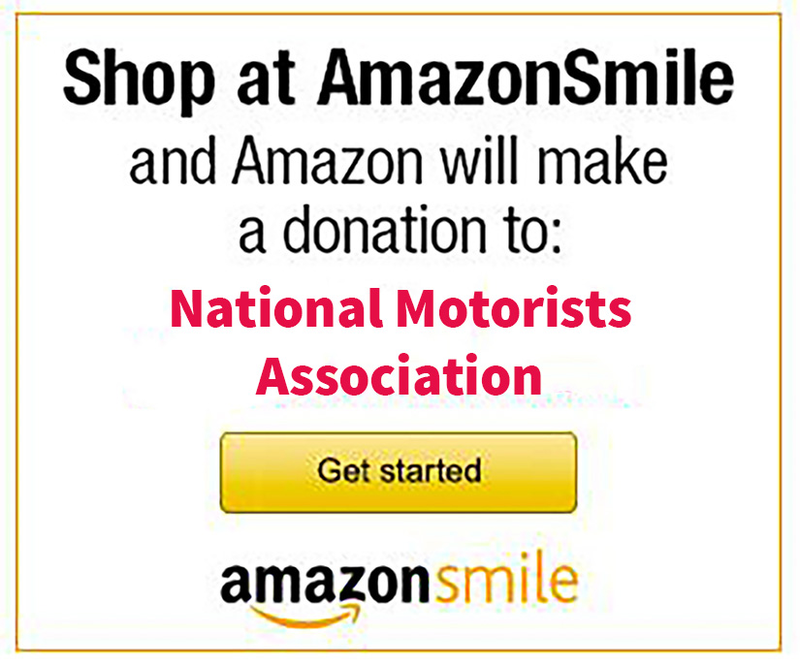 The Car Family Car Review is sponsored by the NMA Foundation, a 501c3 nonprofit organization dedicated to protecting your interests as a motorist and citizen through the multi-faceted approach of research, education, and litigation. The Foundation is able to offer this assistance through tax-deductible contributions. Good reviews about the full capabilities of the latest Sorento. Pretty much the same from the last model but good to see the interior improvements.